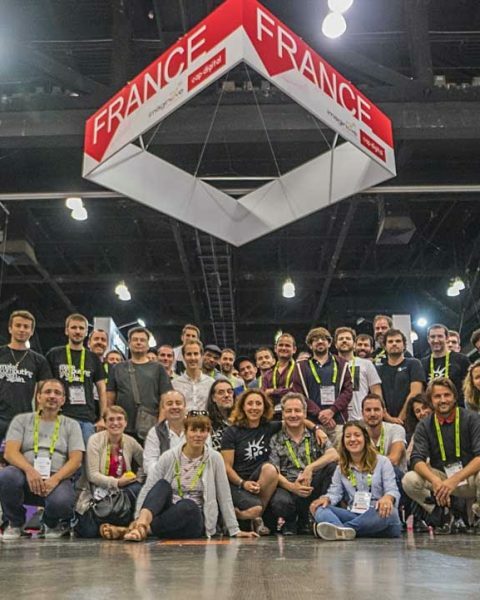 14 French companies, selected by Cap Digital and Imaginove, will be gathered at the Pavillon France, for the SIGGRAPH, the world’s leading digital conference and exhibition in computer graphics and interactive techniques, to be held from 12 to 16 August 2018 in Vancouver. An important visibility for French innovation on one of the largest exhibition spaces of the event, on the central alley. The French excellence is well represented this year again with a total of 24 organizations present on the exhibition (ie 1 exhibitor out of 7) making France the second most represented country, after the USA. 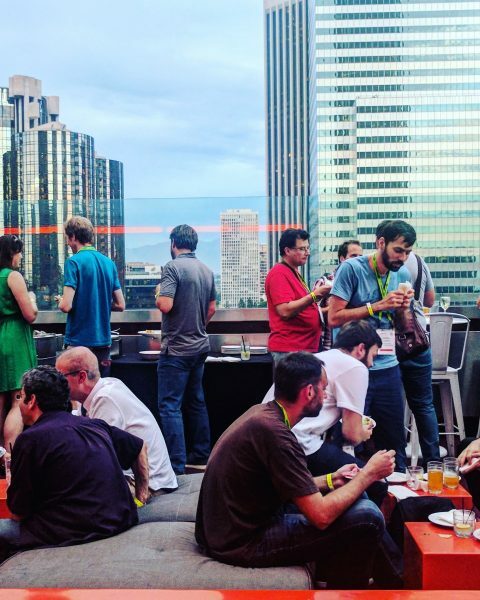 For 12 years, Cap Digital and Imaginove gathered their forces to showcase the best of French computer graphics and digital creation at SIGGRAPH. As pioneering clusters of digital, Cap Digital and Imaginove go one step further. They set up one of the 10 largest exhibition areas on the main alley (next to the Microsoft and Unity booths), thus offering one of the best possible visibilities to the 14 companies selected and gathered in the French Pavilion. Organized by the largest international digital association, the Association for Computing Machinery (ACM), SIGGRAPH annually attracts nearly 20,000 professionals specialized in computer graphics and interactive techniques (3D, VFX, VR, AR, mobile…). SIGGRAPH encompasses scientific conferences, technical presentations, workshops, seminars, as well as a festival and an exhibition with the biggest names in computing, digital transformation, special effects, animation or video game such as Microsoft, Google, Intel, Nvidia and Qualcomm. The companies selected to exhibit under the French pavilion are recognized for their excellence in content creation, supply of services or software and hardware marketing in the most technologically advanced digital sectors: Motion capture, 3D animation, special effects, immersive experience, animation & postproduction, render farms and green logic & sustainable development. Being present to this widely recognized event under the France Pavilion banner is a real stepping stone and allows participating companies to gain visibility, build international partnerships and reach new markets. And finally, to generate a significant share of their revenues on site following meetings with majors players from around the world. 4DVIEWS designs volumetric capture technology. The new generation: HOLOSYS, provides to professional studios, an intelligent solution for XR content creation. Dynamixyz provides facial markerless mocap solutions delivering high-quality data from single or multiple camera systems (offline production or live animation). Stimergy is offering powerful and highly reliable rendering power on its green rendering farm that heats swimming pools! Ranch Computing is the key player of cloud rendering services, gives CG artists access to outstanding calculation power (20,000 CPU cores and 1 million GPU cores). Qarnot Render is a fully-featured super-efficient and competitive render farm. Performed on a distributed cloud made up of heaters, your renderings heat homes! TVPaint Animation develop 2D Animation software using Bitmap Technology which are used all over the world. These products are used by more than 500 animation schools and many studios to create animation film, short films and feature films since few years. Golaem develops crowd simulation, layout and previz tools helping artists to easily populate feature films, TV Shows, commercials and game cinematics. Mikros image, as a major VFX player will present his latest work for ads, feature films and animation, developed with bespoke full service production solutions. PopcornFX is the leading realtime VFX solution for games, VR/AR/MR and films, cross platform and cross engine, it is in use in AAA and indie games. Mercenaries Engineering presents Guerilla Station/Guerilla Render; and unveils Rumba, the new Animation software aimed at optimizing the Animation Process. Speedernet-Sphere produce an authoring tool with a simple interface to create training scenario and share immersive 360°/VR experiences. Kurtis is a nodal automation solution for the animation & VFX industries produced by Texels company.